Every year, tens of thousands of Americans die through suicide. In addition, much larger numbers of people attempt to kill themselves or experience suicidal thoughts. 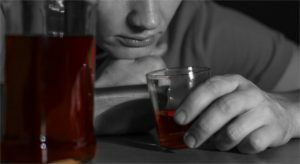 There is a demonstrated connection between alcohol dependence (i.e., alcoholism) and the chances of thinking suicidal thoughts, attempting suicide and committing suicide. This means that anyone with alcoholism may have an increased level of risk. However, the link between suicide and alcohol is complex. Factors that can play a part in any given situation include genetic tendencies, personal background and various types of environmental stress. Alcohol tends to play a contributing role in suicidal behaviors, and relatively few people attempt to end their own lives with a purposeful alcohol overdose. If you or your loved one are concerned about the links between alcoholism and suicidal thought and behavior, enrollment in alcohol treatment can help you avoid a life-altering tragedy. For more information on treatment in an outpatient or inpatient setting, call (888)-459-5511 today. Every few years, the CDC compiles figures on the number of Americans who die from factors related to alcohol use. The agency breaks these factors down into acute (short-term) causes and chronic (long-term) causes. Suicide is one of the most common forms of acute, alcohol-related death. In fact, the CDC’s most recent available statistics show that only poisonings not stemming from alcohol use occur more often. However, use of alcohol as a direct means of intentional death is not that common. In fact, compared to the overall number of alcohol-related fatalities, suicide by alcohol overdose — or any other cause directly related to drinking — ranks low as a contributing factor. Instead, most affected people kill themselves in other ways while under the influence of alcohol. Depression is well-recognized as a contributor to suicidal states of mind and suicidal behavior. Unfortunately, people affected by alcohol use disorder (alcoholism and non-addicted alcohol abuse) have increased chances of developing depression symptoms. The National Institute on Alcohol Abuse and Alcoholism reports that major depression, the most severe form of depressive illness, occurs in people suffering from alcoholism roughly 3.8 times more often than in people not dependent on alcohol. People suffering from non-addicted abuse experience a much smaller bump in their major depression risks. Suicide tends to run in families. People whose bloodlines include relatives who tried to kill themselves are more likely to act suicidally and end their lives. The same family factors hold true in cases of alcoholism. People whose bloodlines include relatives affected by alcohol dependence have increased chances of becoming dependent themselves. In both cases, some of the risks stem from cultural influences. However, genetic predisposition also plays an important role. Any one of these problems can increase suicide-related risks, and in combination, they may have an even greater effect. Alcoholics may also have increased suicidal tendencies as a result of heavy drinking’s impact on stress regulation. Stress is a known contributor to substance consumption and substance abuse. In fact, many people begin a pattern of excessive drinking because they are looking for some way to keep their stress-related feelings under control. In the short run, this approach may appear to work. However, eventually, the brain of a habitual heavy drinker will change its response to the presence of large amounts of alcohol. Among other things, this altered reaction can include a spike in the output of hormones that increase stress levels. In turn, an inability to relieve stressful feelings may make suicidal thoughts or behaviors more likely. Another potential factor in alcohol-related suicide is the dangerous pattern of consumption known as binge drinking. 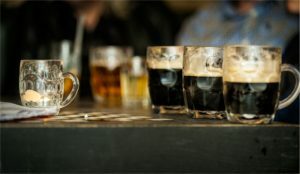 Binge drinkers distinguish themselves from other alcohol users by imbibing beer, wine or hard liquor at a pace that leaves them legally intoxicated in anywhere from less than an hour to two hours’ time. The Centers for Disease Control and Prevention identify increased suicide risks as one of the known consequences of this type of rapid drunkenness. This is likely true because people who binge on alcohol experience a sped-up version of some of the mentally impairing symptoms of advanced intoxication. Binge drinking is most common among young adults between the ages of 18 and 34. This fact is significant because, out of all age groups in America, people between the ages of 18 and 24 have the highest risks for suicidal thinking and overt suicidal behavior. In addition, people between the ages of 25 and 34 have the highest chances of actually committing suicide. There is a substantial degree of crossover between alcoholism and binge drinking. Still, the CDC reports that at any given time, most bingers do not qualify for an alcoholism diagnosis. Despite this fact, people who engage in the practice of rapid intoxication can increase their chances of becoming alcoholics by as much as 50 percent. Most drinkers who kill themselves do not use alcohol as their short-term method of choice. 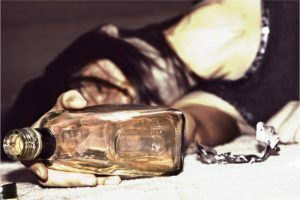 Intentional suicide by alcohol poisoning is relatively rare, although suicide by pills and alcohol may occur more often. 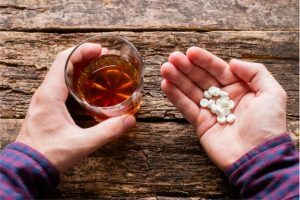 Alcohol use tends to form part of a larger picture of suicide-related factors, and people typically have multiple conscious and unconscious reasons for killing themselves. Still, research demonstrates a clear link between alcohol abuse, alcoholism and increased chances of engaging in suicidal thinking, suicidal planning or outright suicidal behavior. In any given case, it can be difficult to say exactly what role alcohol plays. Nevertheless, alcoholism leads to brain changes that could set the stage for suicide-related actions. Some of these changes are chemical, while others involve physical alterations in the brain’s shape and size. In addition, alcoholism often co-exists with depression and other mental health conditions known to increase the odds that people will try to kill themselves. In light of these facts, successful alcohol treatment could play an important part in suicide prevention. Thank you for filling in the unknown factors between alcohol dependence and suicide. It better explains the over 50% of suicides being associated with alcohol.